TimL - Atlanta Feels great! 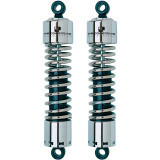 "No more bottoming out, heavy bike with 2 heavy riders and feels great"
Bryan - Lexington Kentucky Cool Features; Nice Complement to Shocks "Purchasing these for an old Classic. 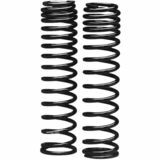 I love the dampening characteristics of the Progressive Shocks, the cosmetic appeal and the perfect complement of the springs! These are the perfect upgrades for many old Classic Bikes!"